GENERON, a leader in the design and supply of nitrogen generators, membrane and pressure swing adsorption systems, and their Distributor, Air Liquide / Airgas is pleased to announce a Twin Tower PSA system has been built for Evonik, in Layfette, IN, for use in their pharmaceutical plant. 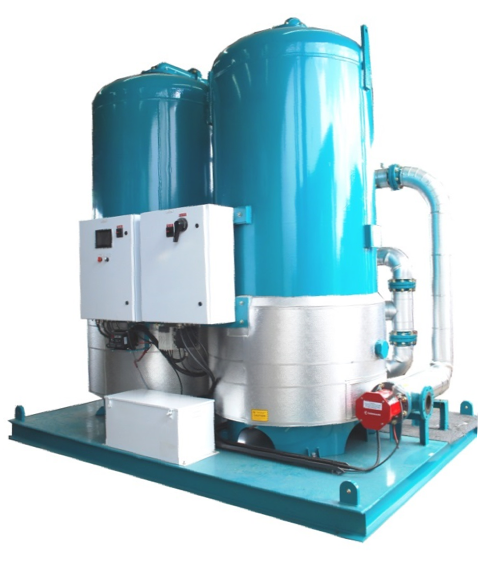 The system was designed to deliver 99.65% pure nitrogen at flow rate of 660 SCFM. System included PLC interface controls for generator functions, displays and remote interfacing with the compression equipment, and remote monitoring.